yep. 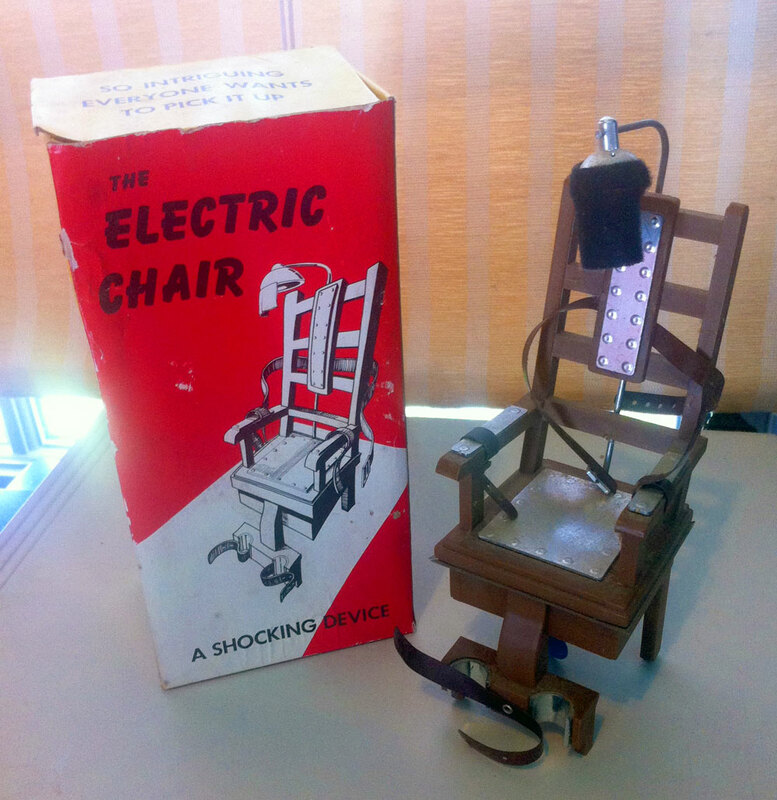 that’s right, the electric chair. how about that! my good friend, mark sloan, knows what turns me on. he found this somewhere up around asheville and brought it to me. now that is a good friend. shockingly good! i’m gonna get a 9v and plug this sucker up! swing by the shop and ill show it to you — by appt only — or if the governor says its ok. you can touch it — if you dare.